Fall Wish List Featuring Shein — THE FAUX FANCY. I thought I'd do a quick roundup of some pieces I have my eye on from Shein. You know, because budgets. I've talked about my experience with Shein before here, but I'll definitely say again that I am always pleasantly surprised with the quality of items I've purchased. My only qualm is that it can sometimes take a century to get your items, but they do have reasonably priced expedited shipping options - which is nearly always worth it to me. Check out my wishlist below. I mean. Obsessed. I'm dabbling with the idea of NYFW in this upcoming winter, and while I know this probably won't do the job alone, at least I'll be moderate warm, furry and cute? I love this so much! We're in that strange weather pattern in Texas where it's hell during the day and like an arctic blast at night. Okay, not quite an arctic blast, but it does get pretty chilly. I do however feel like this off-the-shoulder long sleeved number will fit great into our bipolar fall season. Love me a palazzo pant just as much as I love me some olive green. How cute are these? Anyone else really bad at buying basics? I tend to buy so many unique pieces and completely skip out on basics and then I get frustrated that I don't have any basics and I can't re-wear that unique piece because I've been photographed in it enough for people to notice. lol Le struggle. 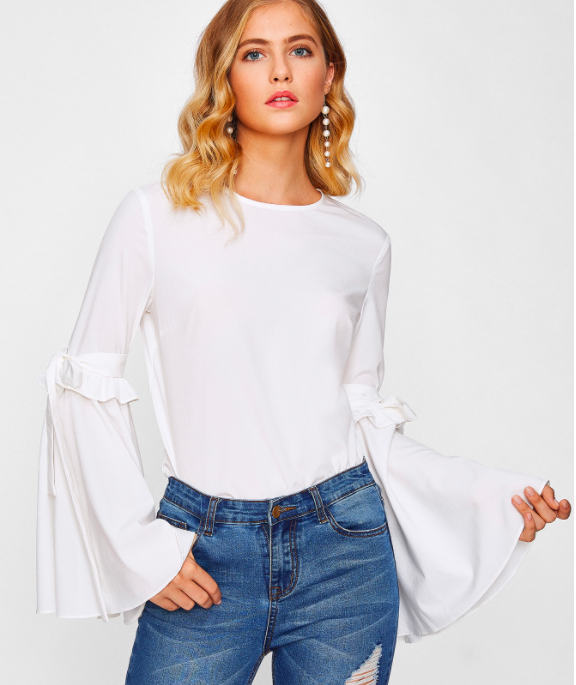 This white bell sleeve top gives me unique yet basic and I'm here for it. I mean, I think It'd look pretty cute in this sweatshirt dress running errands aka a casual brunch? I think I'm more draw to the color, but I do also appreciate a potato sack-y dress. I love Shein for their inherent ability to keep up with trends while not breaking the bank. I've mentioned here before that the quality isn't bad either. I'm typically pleasantly surprised with my purchases. BRB, gotta go clear out my shopping cart.